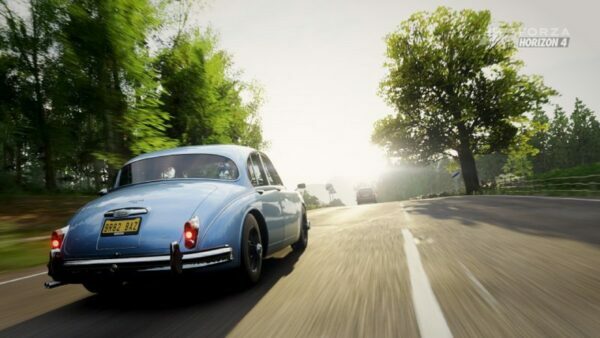 The sun is out once again, which signals the first summer season of 2019 in Forza Horizon 4. 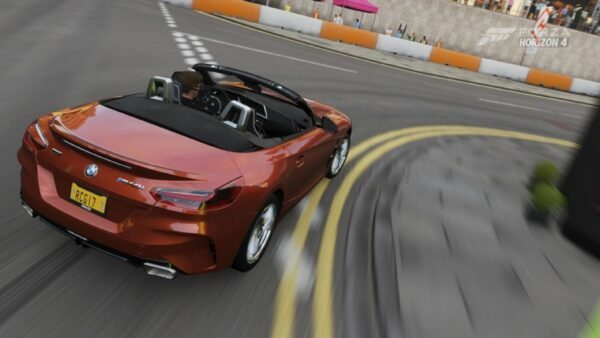 Aside from the return of Mitsubishi, new events are available with new prizes for players to chase after, but we kick off with the latest Car Pass offerings. No sports car has such an immortal legacy as the Porsche 911. The latest 992-generation of Stuttgart’s iconic rear-engined car aims to continue its reign at the top of the pecking order. 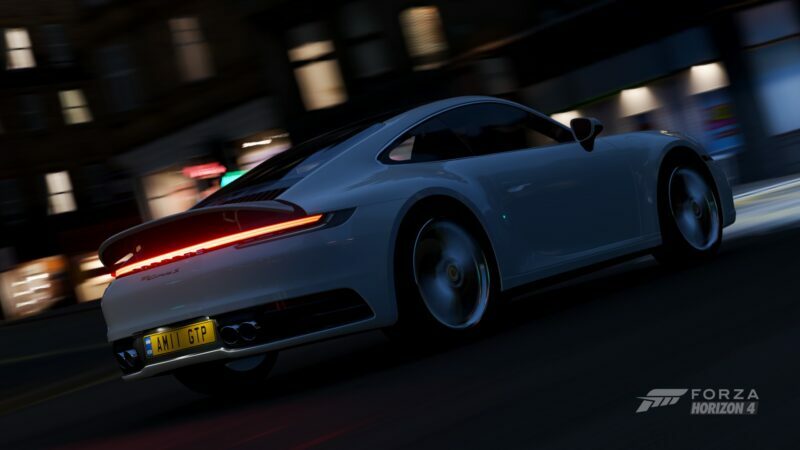 This particular 992 in question is the Carrera S. It also marks the first time an “entry-level” 911 has been included in the Forza franchise. The performance is far from low-rung however; the twin turbocharged 3.0-liter flat-six puts out 444hp. The new 8-speed PDK transmission means the Carrera S will keep on going to 190mph. 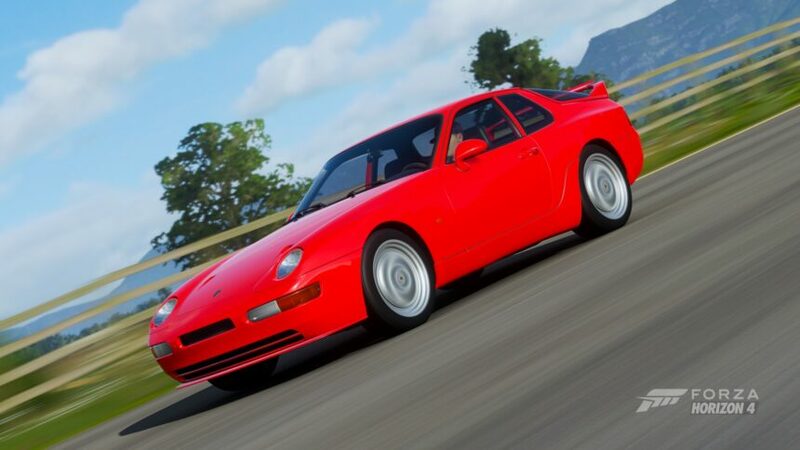 Next is the 1993 Porsche 968 Turbo S, another car making its first Forza appearance. This might look like a strange combination of a 944 and a 928, but looks can be deceiving. 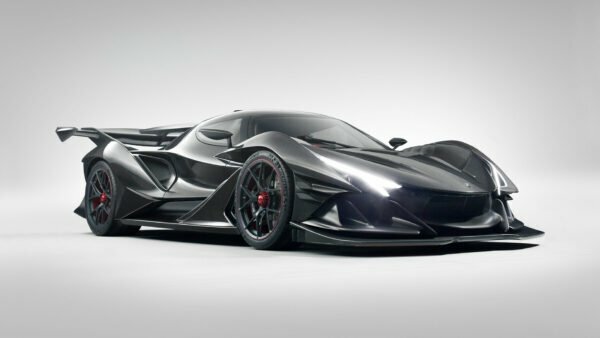 Under the hood sits a turbocharged 3.0 liter inline-4 making 305 horsepower. a 0-62mph time of less than 5 seconds means the 968 is still quick today. 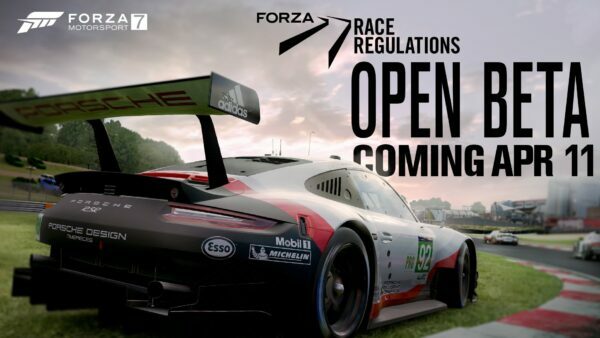 Along with the new Porsches, there are new races to take part in. New prizes are available for players to aim for as well. 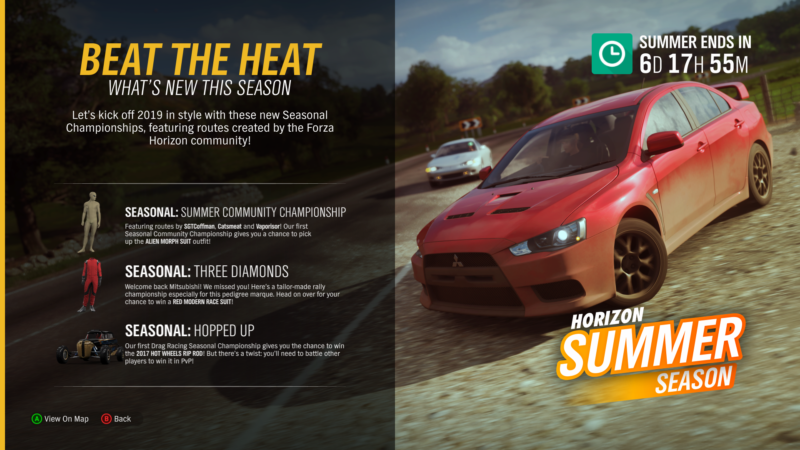 One seasonal event in particular attention though; “Hopped Up” offers a Hot Wheels Rip Rod as a prize car, but players are required to run the event in PvP mode in order to obtain the prize. 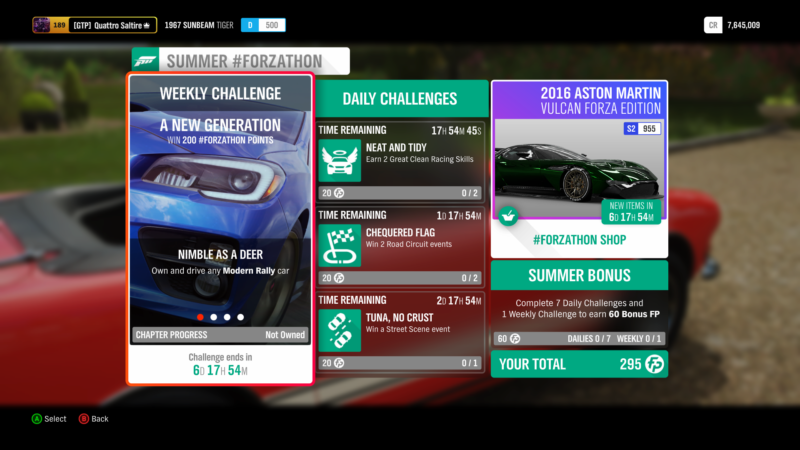 Forzathon turns its attention towards the Modern Rally category for this week. The first objective is a simple one; own and drive any Modern Rally car. 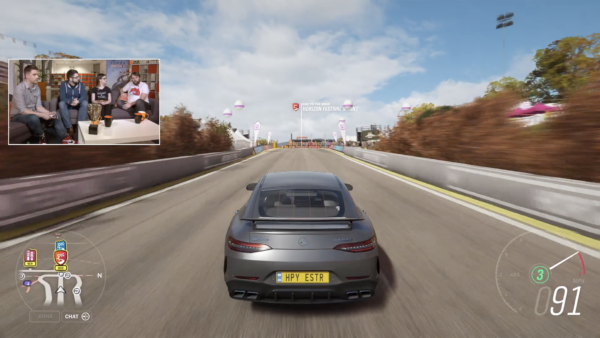 For the second objective, you’ll need to flex your tuner skills and upgrade your car to hit a hefty 185 mph. Go in search of Danger Signs for the third objective, where you’ll need 15 stars total. Finally, the last objective is a big one. You’ll need to achieve a podium finish in “The Gauntlet”, the longest race of the Dirt Series. 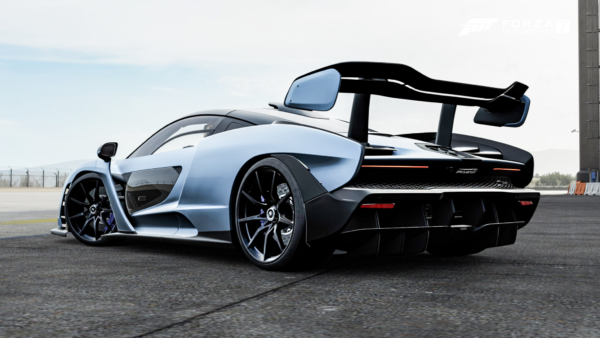 This week’s Forza Edition car is the 2016 Aston Martin Vulcan. 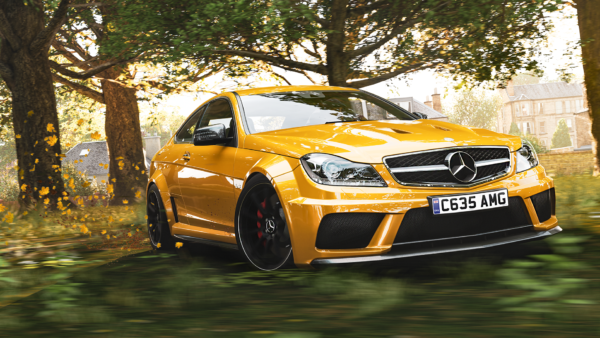 Those looking for a bonus to skills will look towards this car, with an added challenge of performing those skills cleanly. 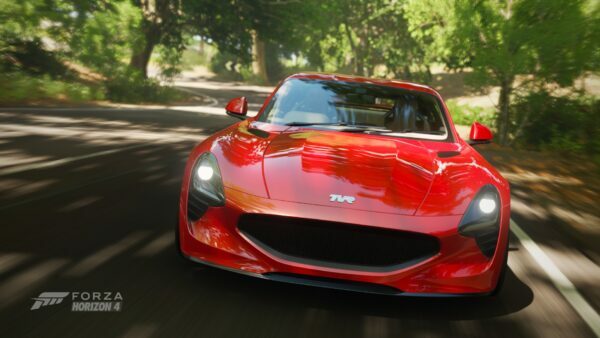 Be prepared to take a hit on those Forzathon points, as the Vulcan will set you back 400 FP. If neither car peaks your interest, we suggest spending points on plenty of Wheelspins. Closing out this week’s avatar apparel is a pair of shark wellington boots and an ice cream van horn. 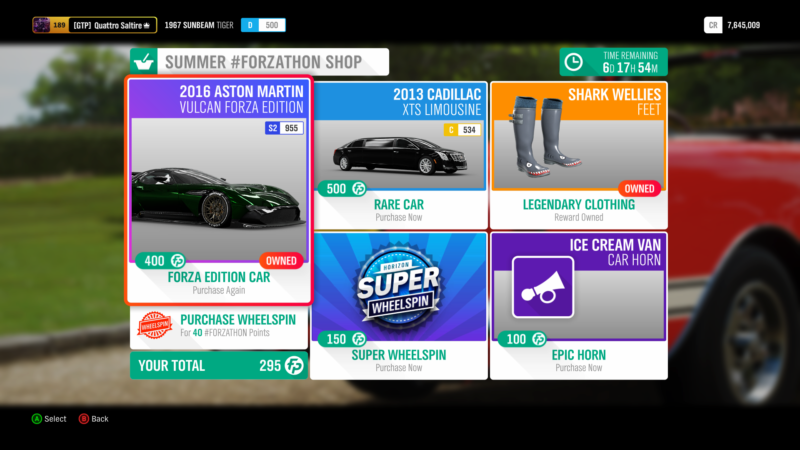 There aren’t any new rumors for this week, but the Summer barn find is once again available. No spoilers, but you won’t need to clear much of a space to fit this in your garage.